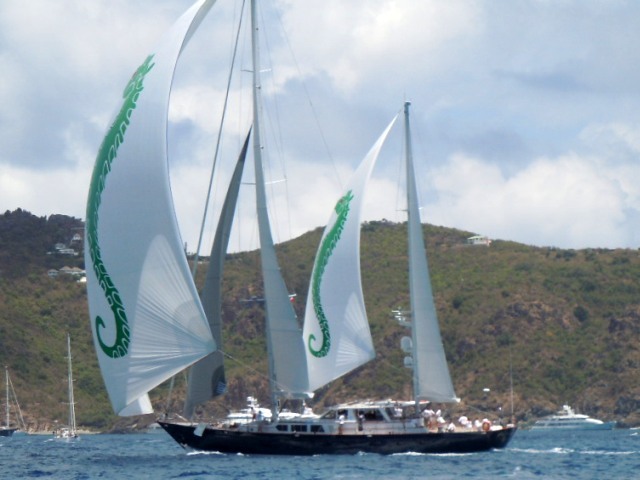 Regattas and races aboard charter yachts make a thrilling vacation. Launch your yacht charter into a spine-tingling dimension. 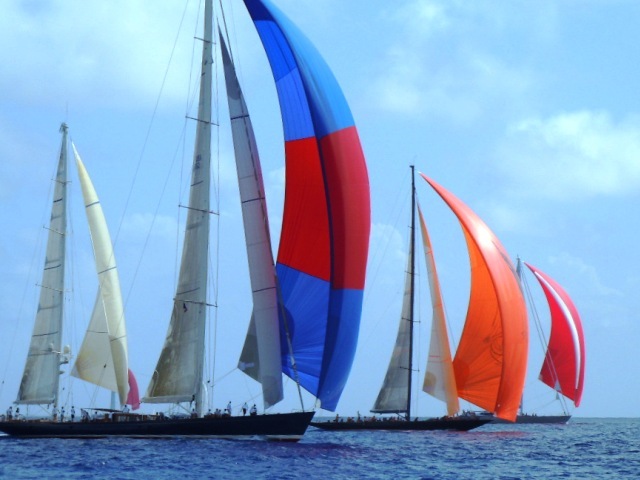 Because yacht racing is a challenge to experience at least once in a lifetime. 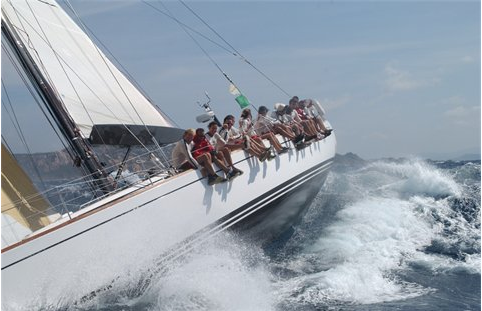 There is nothing that quite equals the thrill of regattas and races aboard charter yachts. Working with a team to master the sails and harness the wind. The dramatic command of technology, challenged by the variable forces in nature. Exhilarating competition that is rarely predictable. 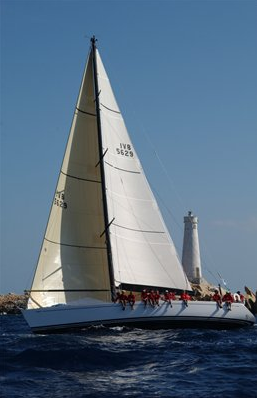 Strategy based on the critical balance between the aerodynamic forces of the sails, the hydrodynamic forces on the hull, and the synergy of the crew. 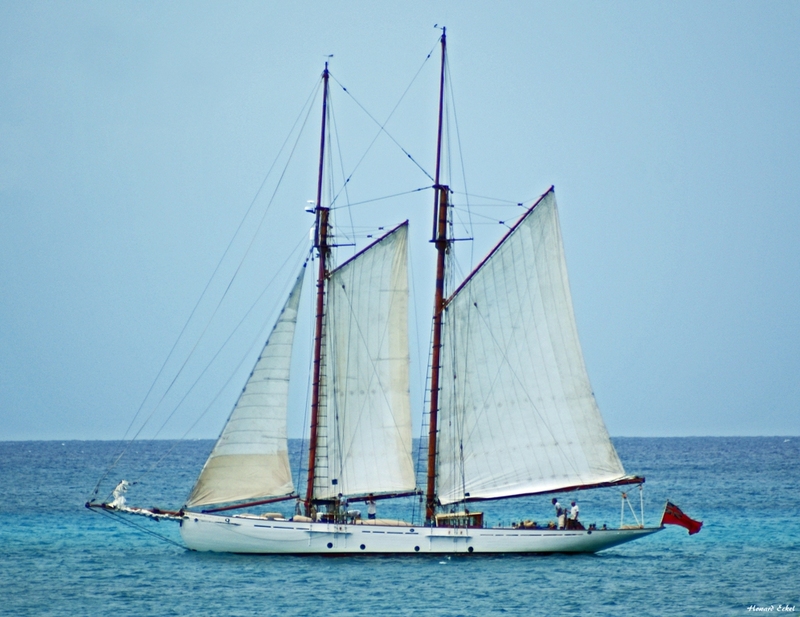 From ancient times, speed under sail has been the goal of boat builders and sailors. This important competitive advantage was inspirational in trade, war, travel and national pride. 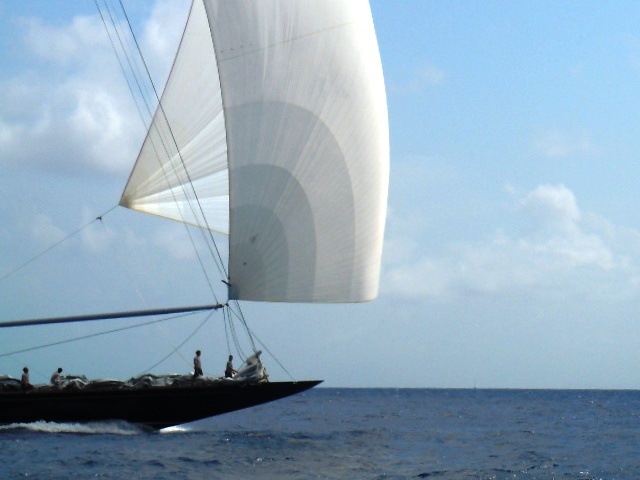 Today, high performance racing yachts are the pride of shipyards worldwide. They display stunning advancements in technology with applications that extend beyond the marine industry. 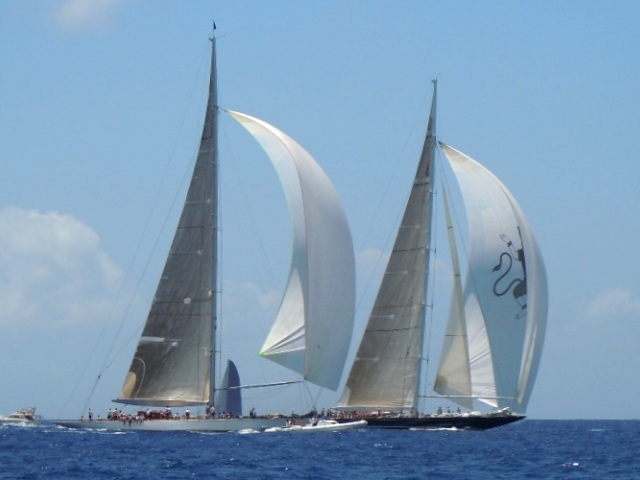 Classic racing yachts, with legendary pedigrees, beckon with separate but equal glamour. 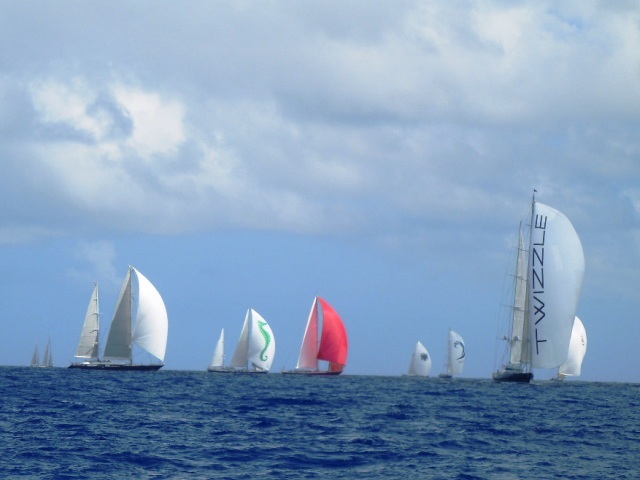 Regattas and races aboard charter yachts may require some basic sailing knowledge. 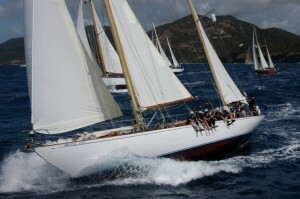 Otherwise, charter enthusiasts can hire a spectator yacht to follow or watch the fierce competitors. 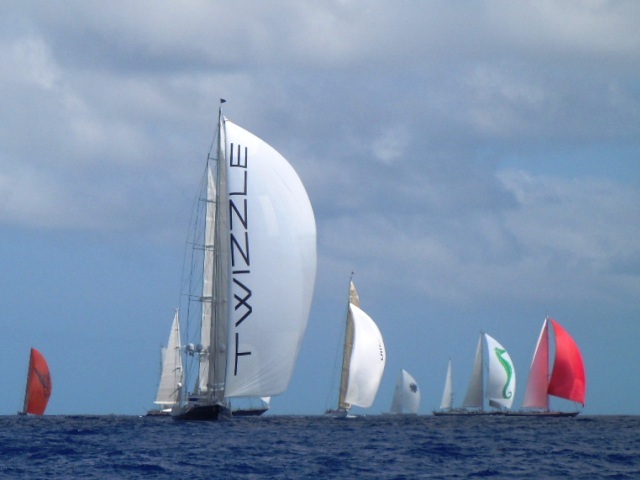 Regattas and races aboard charter yachts make an exciting tandem charter vacation. Corporate charterers enjoy a superlative team-building retreat. Team effort within your extended family has never been so much fun. 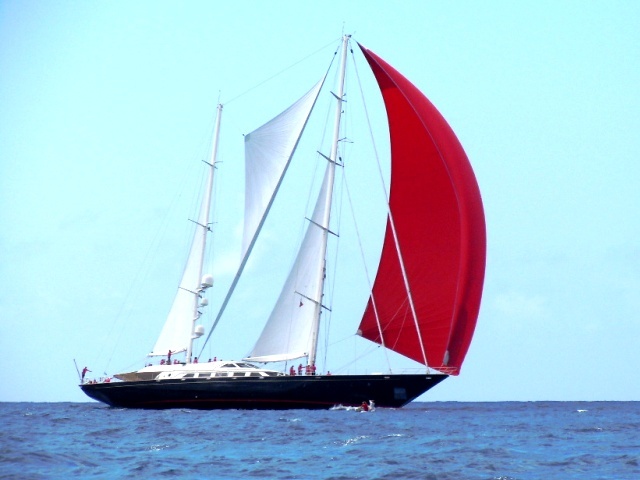 Charter two or more yachts and you can even design your own regatta. 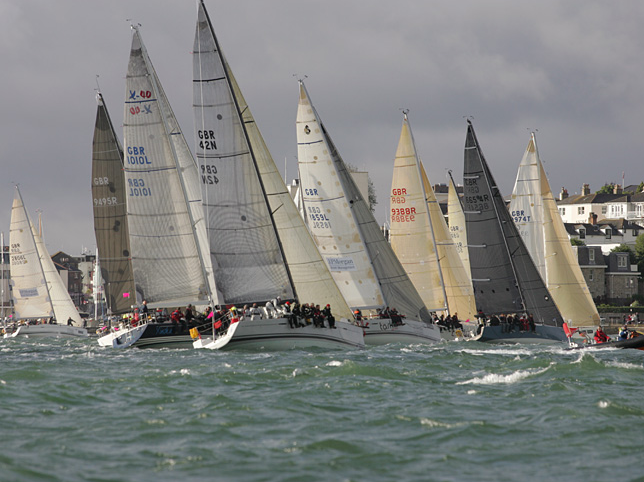 With your captains’ help, your team can race to the finish on a course complete with starting horn and marker buoys. No matter who wins, everyone enjoys victory champagne! 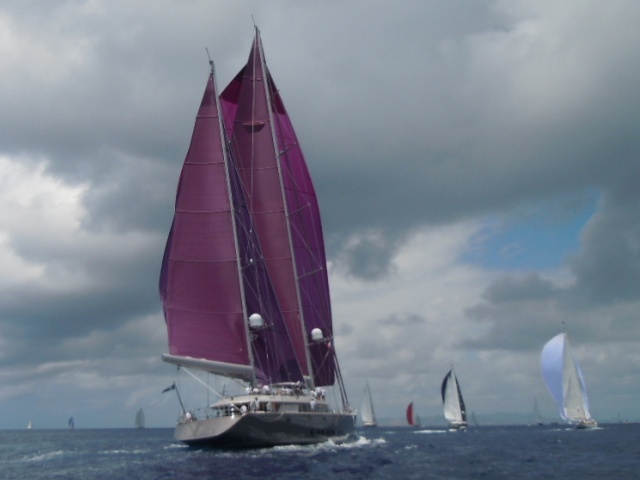 Select Yachts will propose excellent racing yachts for your charter party. 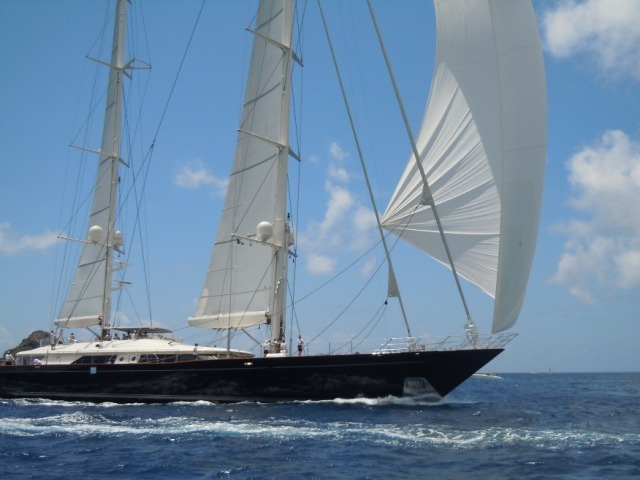 We can also find race yachts that charter by the cabin. 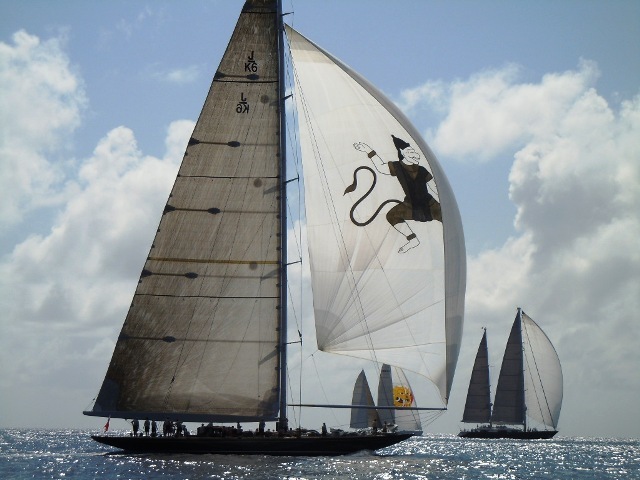 Popular regattas and races aboard charter yachts include: St. Barth’s Bucket, St Maarten Heineken Regatta, BVI Spring Regatta & Sailing Festival, Antigua Sailing Week, Atlantic Rally for Cruisers (ARC) and more. 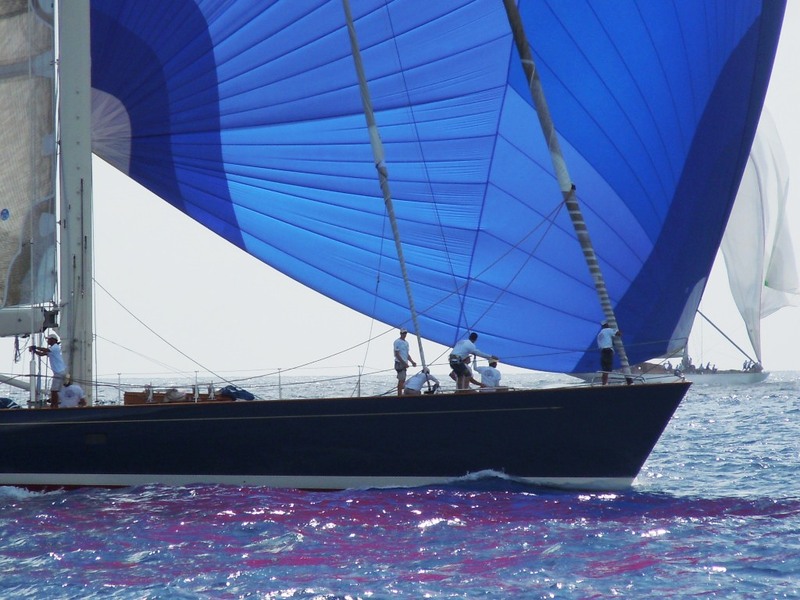 From classic yachts to high performance builds, Contact Us to find you superb vessels that meet your specific requirements and level of expertise, from novice to seasoned sailor. 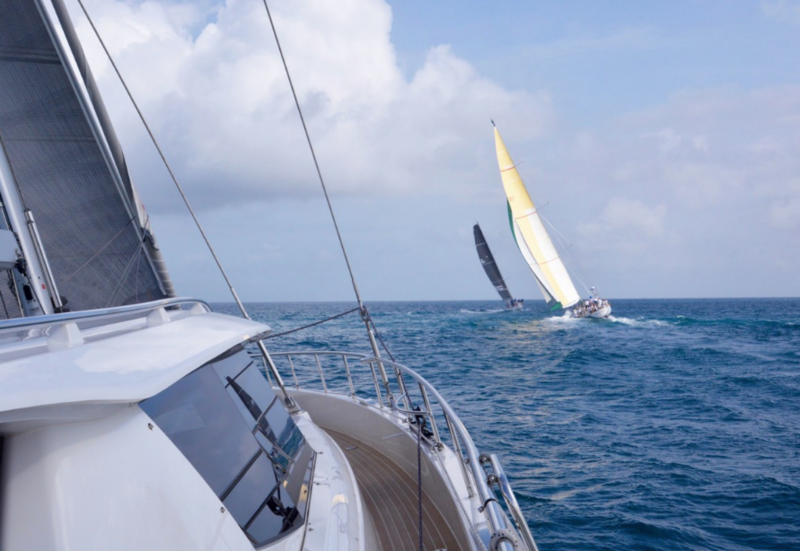 Regattas and races aboard charter yachts take adventure to the next level. 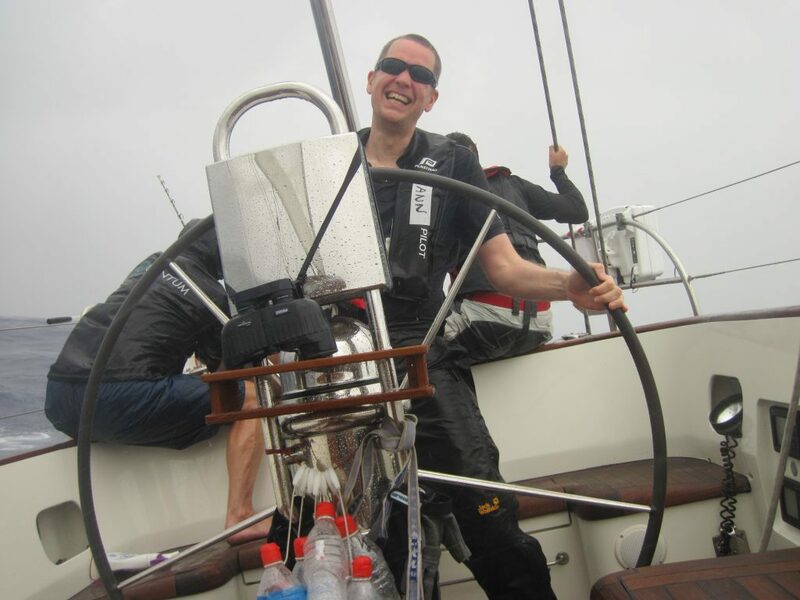 For the experience of a lifetime, crew in a race. MOJEKA is a Moody 54 DS, a new concept in monohull design with the salon and cockpit on the same level. In the ARC+ rally, MOJEKA’s crew was thrilled to win 2nd position in group B. This in spite of being penalized three hours for purportedly crossing the start line a second early. 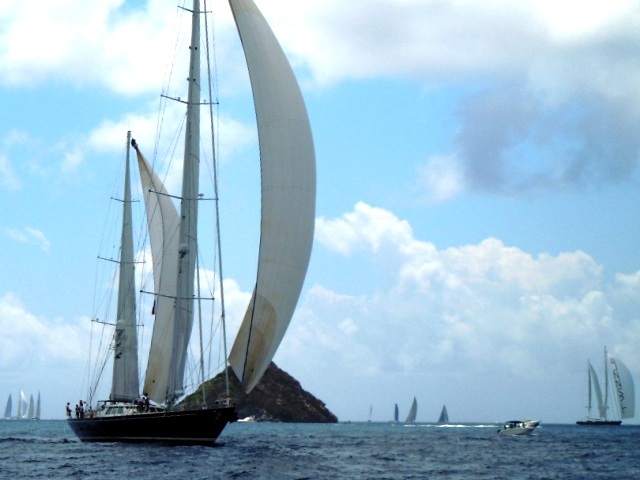 Charter MOJEKA in the Grenadines or the French West Indies for up to six guests. 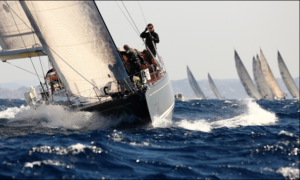 Contact Select Yachts to book a racing yacht or spectator yacht today!